At Worldpay, we’re responsible for trillions of payments every year. When you join one of our many Security teams, you’ll be liaising with all facets of the organisation and key suppliers to the business. As a graduate in Security, you might have the chance to work as a Third Party Risk Analyst, in Policy Assurance or in Security Analysis. Your role is multifaceted and you will gain a broad view of how best practise security enables our business to grow safely and securely. You will get to work on security risk assessments, cyber risk analytics, targeted education and awareness programmes to all our third party suppliers. If you work more on the Policy side, you’ll be designing, implementing, supporting and maintaining security policies and procedures. In our Security Analyst team, you’ll be required to operate on network security sensors that detect and prevent potential compromise to confidentiality, integrity and availability to Worldpay networks and resources. The demands on our security teams is constantly changing, as the business is confronted with new risks and threats every day. You must be fascinated with the evolving landscape and be curious about discovering more about security to enhance your knowledge - in order to protect Worldpay’s technology and merchants across the globe. You will be constantly problem solving in order to stay on top of the latest security risks and creating plans and procedures to combat against issues that the business is facing. You will be evaluating and investigating problems and concepts to ensure safety for our global platforms. 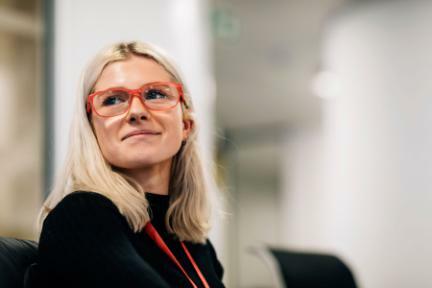 "It’s been a great place to start my career because of the flexibility it’s given me; it’s easy to switch to a different team or role if you realise you’re enjoying or interested in something else. It’s not a place for just sitting back, you have to be intuitive and determined. It feels like I’m valued as an individual on the scheme, not just a number."